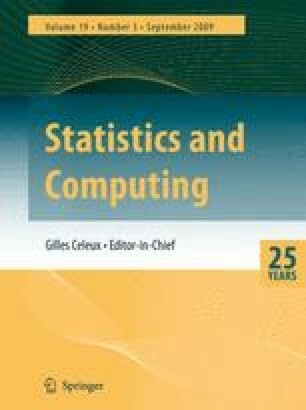 We show in detail how the Swendsen-Wang algorithm, for simulating Potts models, may be used to simulate certain types of posterior Gibbs distribution, as a special case of Edwards and Sokal (1988), and we empirically compare the behaviour of the algorithm with that of the Gibbs sampler. Some marginal posterior mode and simulated annealing image restorations are also examined. Our results demonstrate the importance of the starting configuration. If this is inappropriate, the Swendsen-Wang method can suffer from critical slowing in moderately noise-free situations where the Gibbs sampler convergence is very fast, whereas the reverse is true when noise level is high.